From simple chalk boards to stylish dry-erase whiteboards to techno multimedia smartboards we’re ready to help your Church make a wise choice. These “boards” vary greatly in price and quality and the only way to determine which options are right for your Church is to share your vision with us. We’re ready to help! 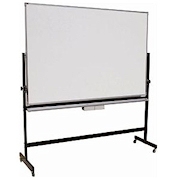 The leader in the educational and commercial markets for visual communication products such as dry erase boards, tack-boards, chalkboards, display cases, display rails and easels. With state of the art equipment, highly trained employees, and an excellent history, Best-Rite has established a solid reputation. These traits combined with high quality products make Best-Rite a best value! Whether you’re in need of messaging systems, communication boards, presentation products, or display rails, Ghent has great options for your church. Their entire line of quality visual communication products is designed to give you the tools to make great visual impact within your church environments. Marsh Industries is dedicated to providing their customers with high quality products. From markerboards and display cases to map and display rails to bulletin and chalk boards, Marsh is committed to providing custom solutions ensuring that churches get exactly what they need for their facilities. Please contact us for more information.